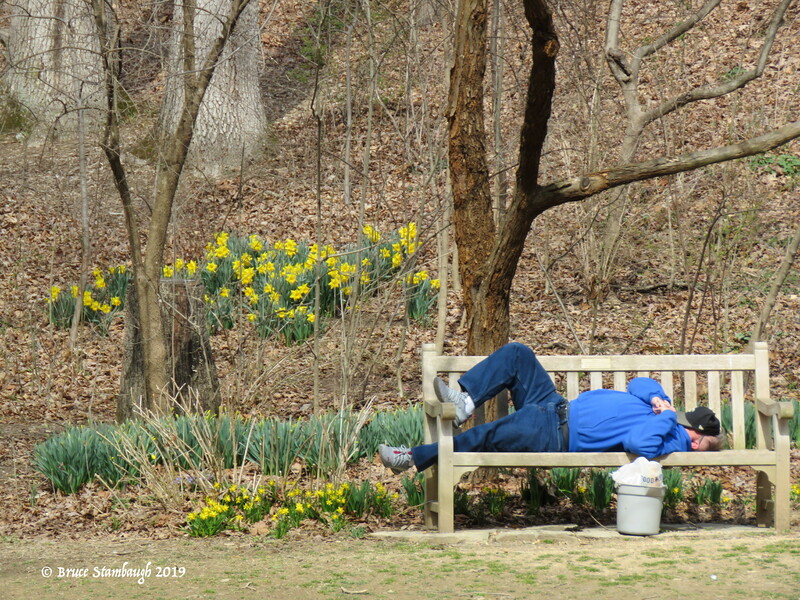 No better spot to nap than in a spring garden. Is that the Arboretum you took us to last year? Spring is trying here..we are hopeful! Fun! I’d like to be that man right now … as I look outside at the falling snow! Denise, It’s ironic that you said that because the day that I took this shot, it wasn’t exactly balmy here, either. Though the sun was shining, it was 52.